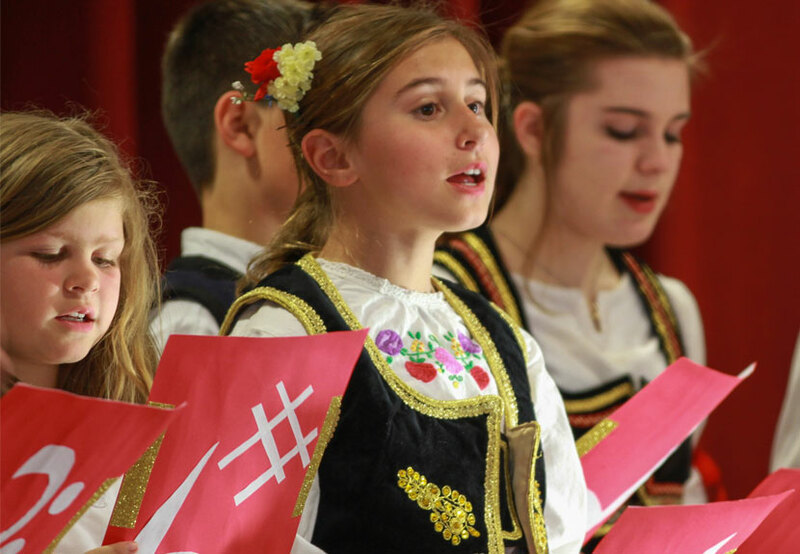 Mark your calendars for the Second Annual Intercultural Festival, hosted by Srbadija Folklore, taking place Saturday, May 7, 2016 at St. Sava Church, 9191 Mississippi Street, Merrillville, IN. The upcoming festival will showcase dance from different cultures and delight all with our Serbian cuisine and famous bake sale. The inaugural Intercultural Festival hosted in May 2015 took place at the new Pavilion at St. Sava and drew more than 400 people. With groups representing the different regions of Serbia, they were joined by dance troupes that also represented Mexico, Greece, Ireland, and India. Several of the Serbian troupes traveled from Illinois, Wisconsin, and Canada. Children and young people ranging in age from 4 through 20-something represented the dancers and provided an opportunity for them to get acquainted with the art of dancing and music from other cultures. Please save the May 7, 2016 date to join us for the Second Annual Intercultural Festival, hosted by Srbadija Folklore, at St. Sava Church, 9191 Mississippi Street, Merrillville, IN 46410.